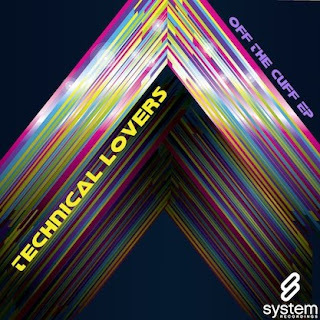 System Recordings News: Technical Lovers 'Off The Cuff EP' - Available Now! Technical Lovers 'Off The Cuff EP' - Available Now! November 18, 2010 - TECHNICAL LOVERS play it fast and loose with the funky, proggy 'OFF THE CUFF EP', featuring "OFF THE CUFF" and "TENDERNESS CAME OVER".